Kazakhstan's energy minister Kanat Bozumbayev announced Wednesday that the country will supply uranium to five nuclear power plants in China beginning in 2019. "We are working with our Chinese partners on uranium conversion," Bozumbayev told media representatives at the 18th Asian Nuclear Cooperation Forum held in Kazakhstan's capital city Astana. China is on schedule to complete the construction of a new power plant by 2019, when Kazakhstan will begin supplying uranium, Bozumbayev added. Bozumbayev said Kazakhstan aims to turn its nuclear power into an important player in global fuel trade. 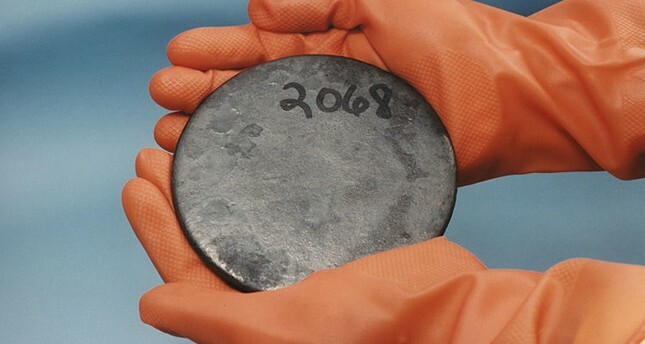 Kazakhstan is the world's biggest uranium producer, controlling 40 percent of production worldwide, with 12 percent of the world's uranium under its soil, the World Nuclear Association reports. The Central Asian country has no enrichment centers or nuclear power plants of its own, mostly exporting uranium in the form of triuranium octoxide or pellets, both of which require further processing before being used by power plants. The Kazakh state nuclear company Kazatomprom and China's CGNPC first announced a joint venture in May this year, aiming to produce ready-to-use fuel assemblies. As of May 2017, China has 37 operating nuclear reactors, with 20 more under construction, according to the International Atomic Energy Agency.